Simplify your elevator monitoring and maintenance with Datahoist. Monitor any elevator regardless of age or manufacturer with our Datahoist sensor. Datahoist works with almost any elevator, of any age, from any manufacturer. In about an hour, a Datahoist sensor can be installed on an elevator cartop, making it part of an internet of things (IoT) or, as we like to say, an internet of elevators that are safer and more cost-effective to maintain. Bring those benefits to your organization with Datahoist. Prevent downtime by monitoring your elevators anywhere, anytime. Our full IoT solution gives you 24/7 access to data like elevator state, acceleration details and door tracking. 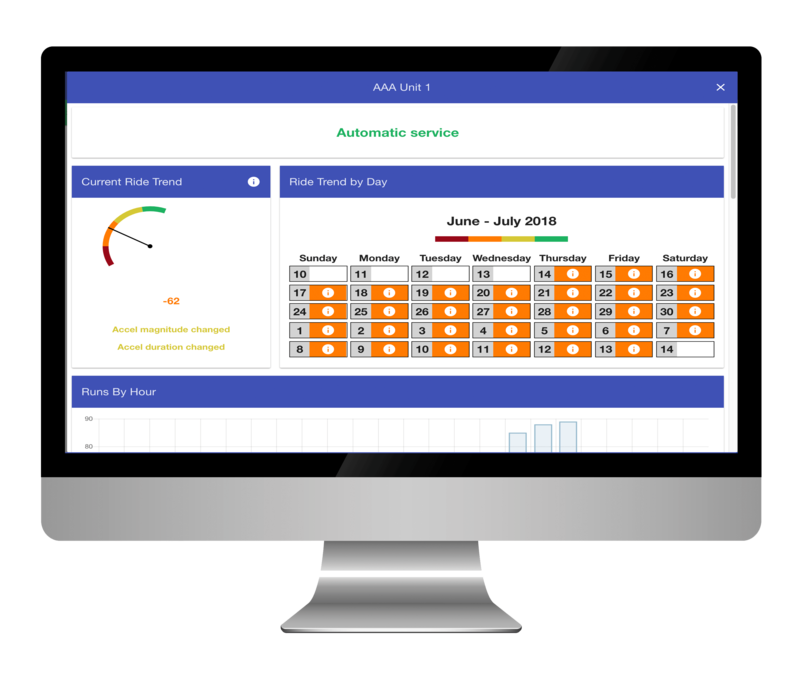 Receive instant notifications anytime there are changes in how your elevators are running and you’ll get access to predictive reports that show you where to focus your maintenance efforts based on automatic, ongoing analysis of trends across doors, speed, vibration and more. Take full advantage of predictive analytics and machine learning to pinpoint and resolve potential issues before they become problems that require expensive remediation. Datahoist makes it easier to train new technicians by giving them work that aligns with their experience level and it lets you be more proactive when scheduling maintenance. Plus, Datahoist integrates with other platforms and software, allowing for additional layers of analytics and making our solution easy to scale whether you use it in one building or across multiple locations.